In Blackberry some time user need to display colored text instated on simple black color text. 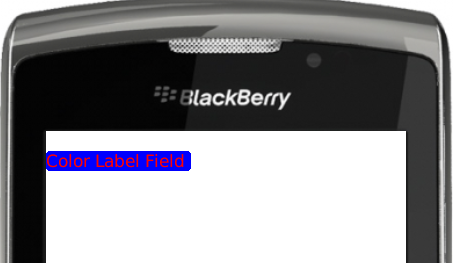 Here sample code that use full for how to create color LabelField. 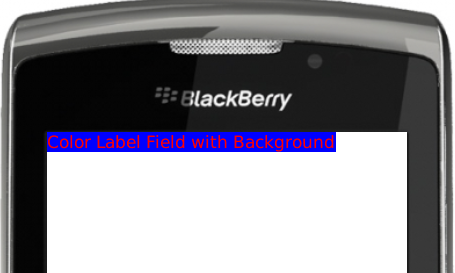 We can also change label Field background color as well Field Corner. 2. 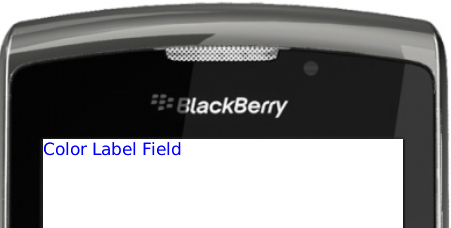 Change Lable Field Background and text color. 3. Change Label Field Background, text color, rounded corner. 4. Color Label Field with focusable and change color on focus got and focus lost.